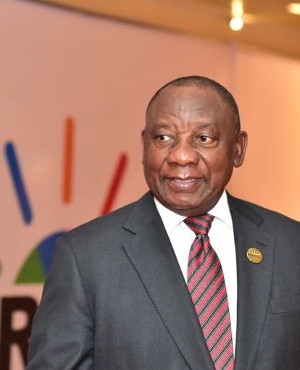 President Cyril Ramaphosa has appointed a commission of inquiry into the alleged improprieties at state-owned fund manager the Public Investment Corporation. “The commission’s terms of reference will include a review of the PIC’s governance and operating model, possible changes to the PIC’s founding legislation and its Memorandum of Incorporation and investment decision-making framework,” National Treasury said in a media statement on Thursday afternoon. The announcement comes three weeks after Minister of Finance Nhlanhla Nene informed the PIC's board of an independent inquiry into the PIC’s "governance issues". The PIC invests on behalf of the large Government Employee Pension Fund and four smaller state-run funds, including the Unemployment Insurance Fund. It oversees roughly R2trn worth of assets. The PIC has been under the spotlight due to some controversial investment decisions, and allegations of impropriety surrounding its CEO Dan Matjila for allegedly using PIC funds to help out the business of a woman said to be his romantic partner, Pretty Louw. Matjila has constantly denied romantic involvement with Louw. The PIC CEO said in a previous affidavit that the state-run fund manager’s board had investigated the claim in late 2017 and found him not guilty of any misconduct. UDM leader Bantu Holomisa told Fin24 on Thursday that he welcomes the decision by Ramaphosa to approve the commission of inquiry. For him it is just important that the board of the PIC and its CEO should not be given the task of appointing the forensic company to investigate the matter for the commission. He would prefer to see National Treasury or the commission itself appoint such a forensic company.